Lekverk – Adam Forkelid – Jazz pianist, composer & arranger. Pianist Adam Forkelid, bassist Putte Johander and drummer Jon Fält form an innovative and original trio that combine razor-sharp jazz music with unexpected and adventurous musical stunts that often tend to leave the audience with a baffled smile. 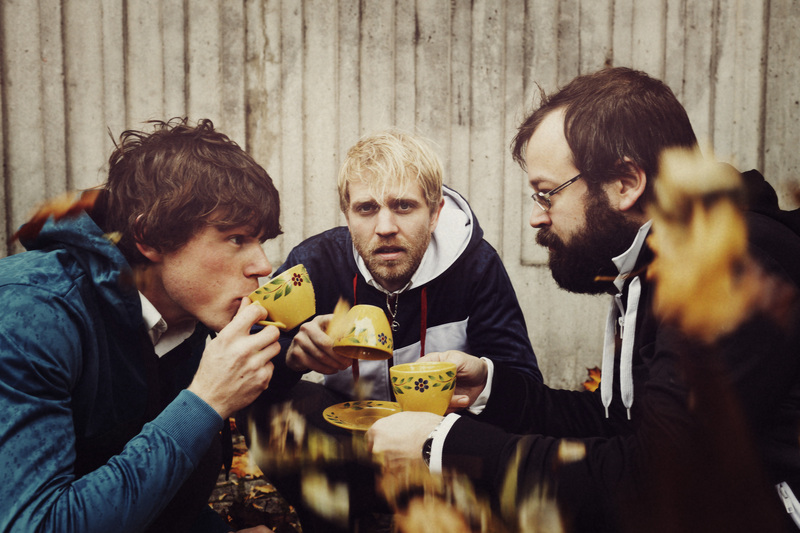 The word ”lekverk” literally means ”a work of play” which is a good way of describing their music. Anyone who has heard Jon with the internationally renowned Bobo Stenson Trio (with former Charles Lloyd band members Bobo Stenson on the piano and Anders Jormin on the bass) knows how his spontaneous and liberating ideas can infuse the most delicate and moving music with playfulness. In Lekverk Jon is in the company of musicians who do not hesitate to walk the same path. Adam, Putte and Jon form a three-man strong playfully creative collective. The trio has so far released two albums. Their strong debut, ”21st Century Jump” (2008) – a rather straight forward acoustic piano trio album – was followed by the totally unique album ”Everyday” (2010), recorded in the members own homes, using instruments ranging from 80’s Korg synths and electric bass to kitchen sinks, coffee tables and harmonium. On top of a unanimous praise from the Swedish press, the album was also selected one of the best albums of the year in Sweden’s largest newspaper Svenska Dagbladet, and was rewarded with the Manifest Award for Best Jazz Album (a Swedish independent label equivalent of a Grammy Award). But Lekverk is also, according to Sweden’s most well renowned jazz critic Johannes Cornell, ”a band you just have to see live”. Their joyfulness and sheer energy, both musically and on stage always sets the crowd in motion. Putte Johander plays with several Scandinavian groups, like Fattigfolket (NO) and Sekten (DK). He also tours throughout Europe and Africa with world music band Monoswezi. Jon Fält is a unique drummer and a phenomenon. He plays with a.o. Bobo Stenson, Tomasz Stanko, Ken Vandermark, Fredrik Ljungkvist and Ole Morten Vågan.